Before I get on with the subject matter titled above, I want you to take a glimpse into my thinking by considering the following analogy. Assume that the Tigre government arrested you in underground dark room for 25 years and you’ve never used your sight ever since. In the process, you started using your fingers to differentiate bread from a stew, or solid from liquid. As it turns out, you lost the power of your sight, so your eyes became useless. If you have payed attention to what Sibhat Nagga said about EPRDF’s future when he was interviewed by ESAT Tv, some time around Malasa Zenawi’s death, he cited the above notion as a prime example even though he explained himself by saying, “We want the EPRDF” dissolve on it’s own when time comes”. But what does that mean? To answer this question, we must think a little deeper about your 25 years prison life resulted in the evolutionary process that made your eye sight no longer needed because now your eyes are your hands! Similar to this analogy, if the TPLF continues to follow it’s current definitive path forward for additional 20 or 25 years, the political nature of empire Ethiopia will change as men and women who made millions of dollars will be more interested to defend their wealth ignoring their ethnic identity as Tigre, as an Oromo or as an Amhara. A good example here are Alamayo Katama, Eliyas Ibsa, Dinqu Dayas etc, men who are working with anyone that defend their wealth. Here, it is very important to understand such evolution is not biological but it is the selection process of economics. Understanding how America’s political process evolved from Mafia controlled business venture into corporate world, from black and white argument into republican and democratic party competition where defending one’s wealth, job and individual interest matters the most, empire Ethiopia’s current political environment will be subject to evolving backwards to the Haile Silase era of Ethiopia. In this sense, evolving backward can be unguided process. To make sure backward evolution take places, the TPLF has to do the following. Plea to emotional attachment that humans have for personal economic interest. Corrupt the PDOs so that conflicts are always generated internally and use that to put pressure on PDOs. By controlling these things, the TPLF will be able to reverse the current political landscape and take the empire back to the era of Dajazmach, Ras and blanbaras where PDOs will oppress their own fellow Oromos. Key to TPLF’s success so far has been ignoring knowledge and considering loyalty as a necessary criteria. Case in point here is making men like Minase W/Giworgise, Muktar Kadir, Aster Mamo etc, individuals who never had high school certificate. 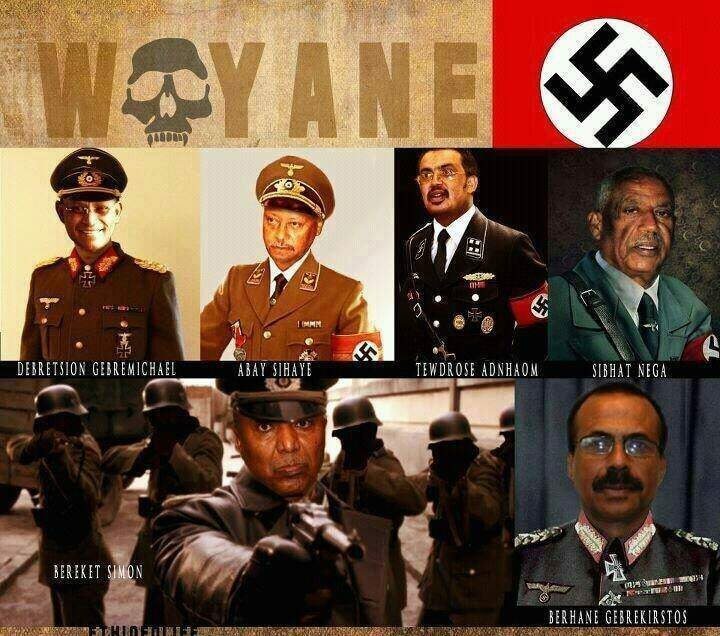 Most interestingly, the TPLF leaders do not have to have mental capabilities or best IQ over the rest either. All they have to have is discipline to listen to their imperialist advisors whom they pay millions of dollars as consultant. Over all, the TPLF hopes that the Oromo nationalism will die off as time goes on, and as capitalism takes root, young Oromians will be more interested in personal pleasure and careless about politics. In addition, they also believe that allowing the increase of technology will prolong their survivability since it would increase their military and spying capabilities. This, at any rate, does not mean that the Oromo people will accept TPLF’s cheap strategy and fall for temporary pleasures only to evolve backwards. Instead, narrating TPLF’s attempt to take us back to the future by letting it’s EPRDF deliberately evolve into another party is crucial. By understanding TPLF’s paradoxical project of allowing the EPRDF to naturally transition into the Habasha repressive era, we can engage in smart conversation and shape our future. Especially those who preach to us that we can shape our future by joining the TPLF must understand that joining Ethiopianism is reaffirming the validity of imperialist’s so called nation building propaganda. It is very important to understand that it is such a naive thinking what made the boarder between freedom and slavery so fragile. The fact that OPDO is there to speak in behalf of the Oromo people only stabilizes the evil empire by letting us shove our hands into the empire’s false political fire.